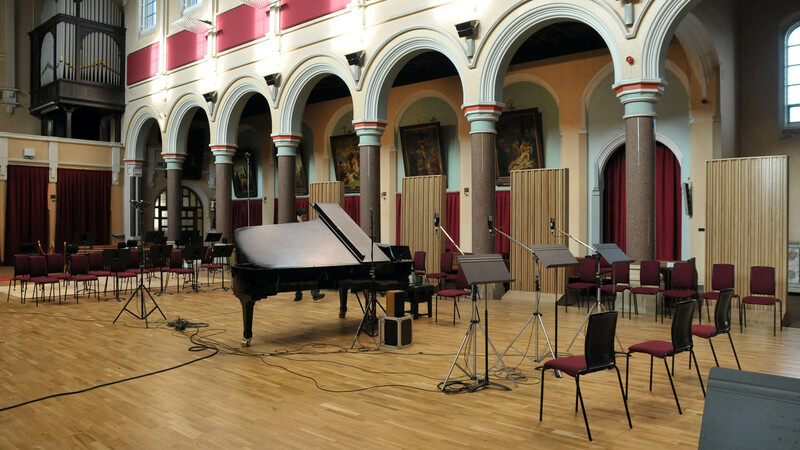 The brief was to convert a redundant church into a rehearsal venue, recording studio and outreach centre for the Royal Liverpool Philharmonic Orchestra. At first sight, the project was not promising; the budget was very limited and the church was cold and damp, with minimal sound insulation and severe constraints as a historic building. 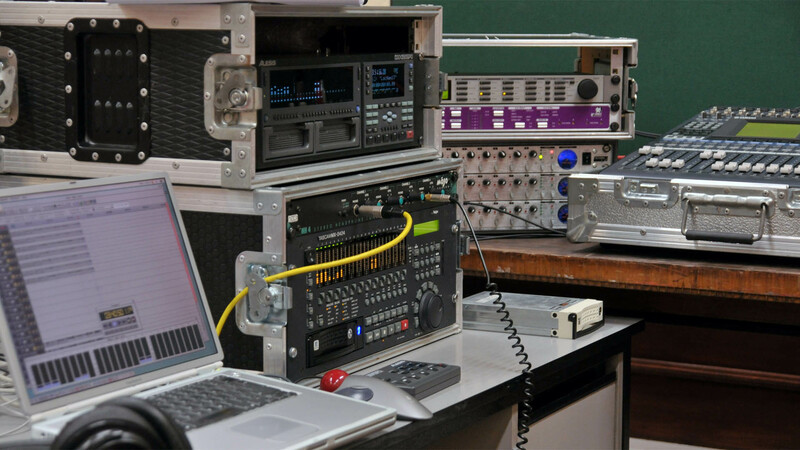 What the project had in its favour, however, was the boundless enthusiasm and optimism of the RLPO staff combined with a design team which was used to working within very severe time and cost constraints. The initial study showed that the very reverberant acoustic could be tamed by using heavy curtains, with some fixed absorbent and diffusing panels. 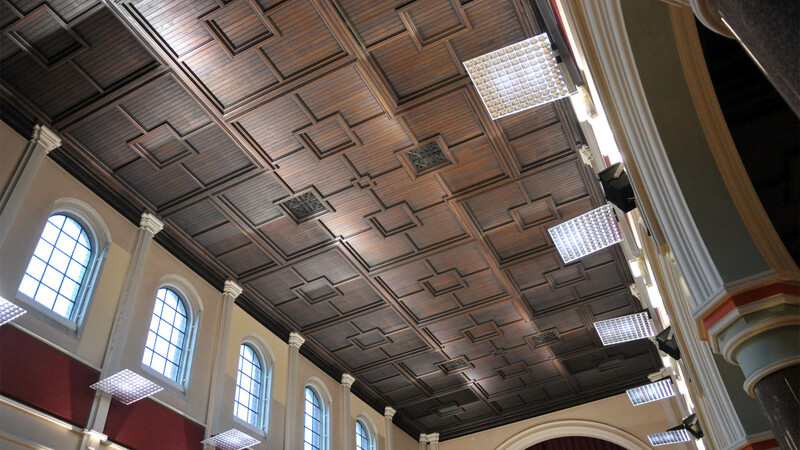 Fortunately the coffered wooden ceiling was at the ideal height for our purposes, as the cost and complexity of suspending reflectors in this space would have made the whole project unfeasible. 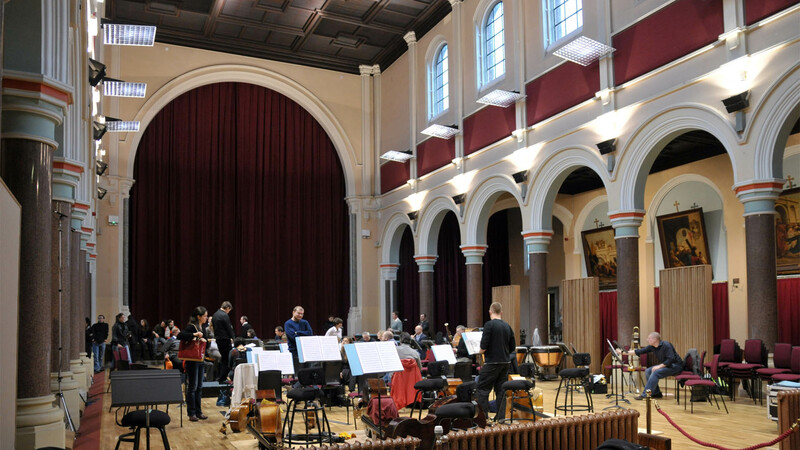 To provide local diffuse reflected sound around the orchestra, we designed mobile timber diffusers which could also be rotated to present an acoustically absorptive surface. To reduce traffic noise we designed secondary glazing for windows and acoustic treatment to access doors. 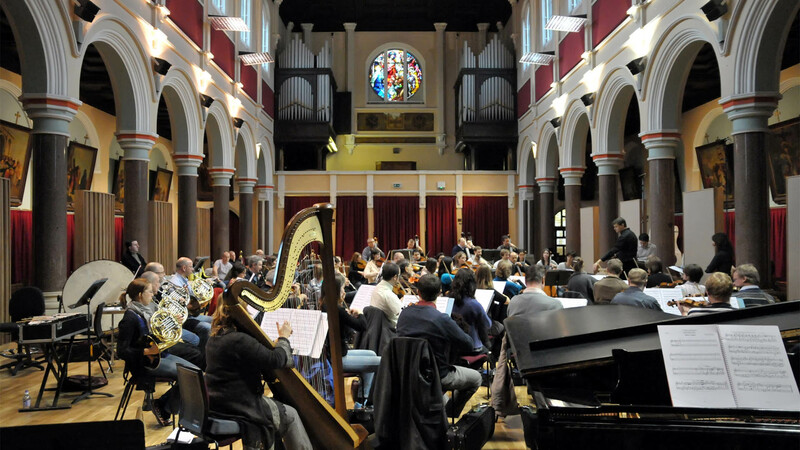 A raised timber floor created the orchestra platform while also allowing carefully controlled underfloor heating. 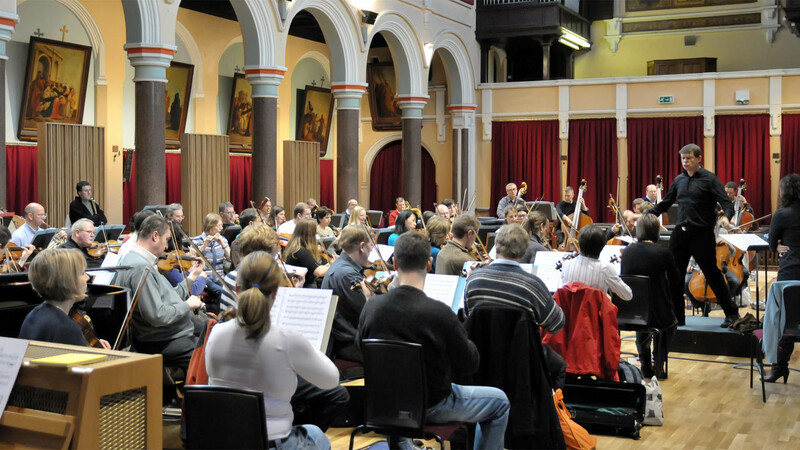 As well as rehearsals the orchestra uses the Friary for recordings ranging from their acclaimed Shostakovich symphonies to a crossover album with Jon Lord of Deep Purple.